If ever there was a time to invest in one of the top US franchises, it’s now. According to a forecast by IHS Economics for trade group the International Franchise Association, the total number of U.S. franchises this year will grow by 1.6% to 781,794. The numbers are in your favor. You’ve made it this far, so now you just need to find the right franchisor. To help you in your search, we’ve compiled a list of the top US franchises out there. Take your time, do your research and become one of the 1.6%. Anytime Fitness is consistently ranked as one of the top US franchises available today. Since 2011, the number of Anytime Fitness franchises across the globe has increased by nearly 50 percent. One of the reasons that Anytime Fitness has been so successful has to do with their concept. Anytime Fitness locations are open 24 hours a day, 7-days a week. Other factors contributing to the franchise’s success: 1) Training — Three days of training minimum is required at headquarters and three days at franchisee’s location. Ongoing training is available; and 2) Ongoing Support —Count on support from Anytime Fitness throughout the entire process and beyond Trainers are there to help you with lease negotiation, conducting meetings, toll-free phone line, grand opening, marketing and more. 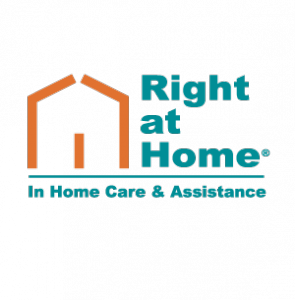 As one of the pioneers of the home care franchise industry, Right at Home provides care for people who don’t need an institutional setting, but still need some assistance to live at home. Early on into franchising, founder Allen Hager carefully selected home care franchise owners who shared his passion for caring for those in their community. Right at Home now has more than 300 locations that serve tens of thousands of clients in the United States, Canada, United Kingdom, Brazil, China and Ireland. The mission of Right at Home is to improve the quality of life for those they serve. If you want to experience fulfillment and significance, see an investment grow and make a positive impact on your community and its families, then Right at Home could be the home care franchise opportunity for you. Started in 2004, Dryer Vent Wizard is the only nationally organized company focusing on dryer vent cleaning and repairs. Franchise locations are now servicing communities throughout the United States and Canada and continues to grow at a rapid pace and is one of the hottest home-based franchise concepts available. From getting a business name to ordering a van and equipment, their proven Jump Start program helps you prepare to start your business. And their rock-solid training and support then teaches you everything you need to know to start and grow your business. Once the business has officially opened, their world-class scheduling center makes it that much easier for you to run your business. The scheduling center will market to customers, answer the phone and book appointments and even place outgoing calls to customer lists to book repeat business. Plato’s Closet offers a truly unique retail franchise opportunity, as it is the leading national teen retail store of its kind — focusing on the buying and selling of gently used, brand-name apparel and accessories for girls and guys. Plato’s Closet has more than 400 store locations throughout North America, and as one of the top US franchises, that number continues to grow. Their stores fill a distinct niche in the retail marketplace. They are the leading national resale business that specializes in the teen and twenty-something market group. The wish list for trendy, brand-name apparel and the availability of it in virtually every teen’s closet presents fantastic opportunities for both franchise owners and customers alike. A Plato’s Closet franchise offers franchisees a very unique opportunity, based on a sound business model and the support of the parent company, Winmark Corporation. Operating primarily in the Midwest, Culver’s is a popular purveyor of ButterBurgers and frozen custard. There are currently 500 Culver’s franchises in operation in 22 states, making it one of the top US franchises. Even though its reach is smaller than other franchises, its sales are just as good. An average Culver’s franchise can expect to do approximately $1.8 million in sales each year. Franchising with Culver’s lets you have the best of both worlds. You get all the advantages of an established operating system with 30 years of valuable, hard-earned experience under its aprons, support when you need it most and the marketing strength of a proven brand — all without giving up your independence as a business owner. Culver’s franchise partners are hands-on owner-operators, not just silent business partners. It’s a key factor in Culver’s success. Seniors Helping Seniors home care services match seniors who want to provide compassionate help with seniors who are in need of help. The company started in 1998 with a simple concept that seniors can help each other age better and that those who give and those who receive benefit equally. Since 1998, Seniors Helping Seniors has grown from their first match to working with hundreds of helpers and clients. They continue to expand the training for our helpers and have continuously added services in response to the individual needs of clients. Not only does Seniors Helping Seniors in-home services provide valuable support for seniors, they also relieve the day-to-day stress on overwhelmed family members. To meet this growing demand, they continue to recruit more senior helpers who benefit personally from receiving additional income as well as from the rewards of helping. Sola Salon Studios was established in 2004 in Denver, Colo. Now with more than 225 locations open nationwide, they are proud to offer salon professionals the freedom and benefits of salon ownership without the upfront costs and risks associated with opening a traditional salon. Their innovative salon model empowers hairdressers, estheticians, nail techs, massage therapists and other like-minded professionals to take control of their lives and their careers. They provide beauty professionals with high-end, fully equipped salon studios alongside the support and tools they need to launch their salon business in no time. 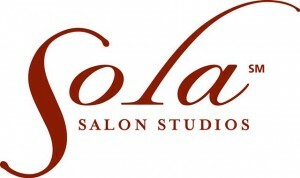 Sola Salon Studios takes pride in being the largest, fastest-growing salon studio business in the country. 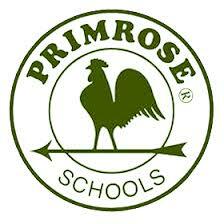 Primrose is an accredited private preschool that provides a premier educational child care experience. As The Leader in Early Education and Care, Primrose partners with parents to help children build the right foundation for future learning and life. Their goal is to help children have fun while building Active Minds, Healthy Bodies and Happy Hearts. The Primrose business model rests on a commitment to delivering service excellence while continually raising the bar in everything they do — lead, nurture, educate, equip, consult and support Franchise Owners with everything they need to thrive and grow, starting with Primrose’s proprietary, researched-informed Balanced Learning Curriculum. It’s a proven model built on a trusted partnership between parents, teachers, school leadership teams and Primrose. Pop-A-Lock was born in 1991 when local law enforcement agents in Lafayette, Louisiana recognized the need for a car locksmith in their community. Since then, Pop-A-Lock has grown to become the largest professional locksmithing franchise in more than 4,500 communities across America as well as in Canada and Australia. While their main focus is on emergency automotive locksmith services, they also offer a full range of services for home and business security. In addition, Pop-A-Lock is proud to have created the Emergency Door Unlocking (EDU) Program — a free community service dedicated to saving children who are inadvertently locked in vehicles. When you join the Pop-A-Lock team you are gaining a business partner that will provide you with all the tools needed to launch a successful franchise quickly and efficiently. In addition, start-up costs are low, they provide you with proprietary equipment and training — and no locksmithing experience is necessary. Quaker Steak & Lube is one of the most brand-differentiated restaurants in casual-family dining. The unique motorsports-themed décor combined with crave-able food and high-octane events has created a cult-like following. Quaker Steak & Lube has grown to over 60 locations throughout the U.S. and Canada with an aggressive expansion plan under way. With a focus on servicing both the guest and franchisee alike, the Quaker Steak & Lube brand management team is committed to assist with each restaurant’s success, including site selection assistance, architectural planning & designs and training. Discovery Map publishes curated guides of destinations across the United States and Internationally. The free, artistically styled, engaging, user-friendly maps have always been the pillar of the company’s and franchisees’ success. Yet, this is a new age in the world of advertising, so Discovery Map has created a suite of digital companion advertising platforms while maintaining the same visionary, fun, effective “aura” that their maps are famous for. By offering a known product with a recognized brand you have already mitigated many of the risks of failure many new enterprises experience. To help ensure the success and growth of your operation, Discovery Map provides the support and assistance you need on an ongoing basis. Which Wich Superior Sandwiches is one of the fastest growing and top US franchises today. Which Wich Superior Sandwiches is an innovative yet simple concept that focuses on the “wich,” a customizable sandwich available in more than 50 varieties. Which Wich is also known for its creative ordering system. Guests use red sharpies to mark pre-printed menus on sandwich bags. They select a wich from one of ten categories, then choose the size, type of bread, cheese, spreads, and vegetables. The wiches are prepared to order and delivered in the now-personalized bags. Which Wich is currently awarding franchising opportunities to passionate entrepreneurs interested in multi-unit development. Steady, controlled growth is integral to the company’s success because it allows the leadership team to find the right people to join the system. 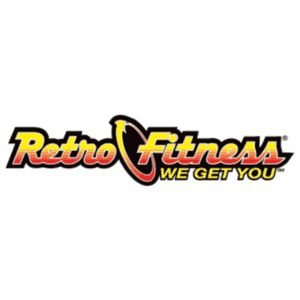 Retro Fitness is a high-value, investor friendly fitness model with strong-unit economics and streamline operations that is on track to grow to 300 locations by 2016. A strategic membership price point of $19.99 per month and state of the art equipment attracts new and experienced exercisers of all ages while ancillary offerings like Retro Blends Smoothie Bar, personal training, child care, group fitness, pro shop and tanning create multiple revenue streams maximizing bottom line returns. Retro Fitness is well positioned for today’s economy and to dominate the low cost segment by offering a high-quality and value-add product in contrast to its competitive set. Each facility has 60-75 pieces of cardio equipment with personal LCD TV screens, a Retro Movie Theater, three different types of circuit training equipment and free weights. Combine that with the fact that every gym is designed to maximize the square footage so that owners are not paying for space and utilities that go unused and you have a one of a kind business opportunity. Chester’s serves millions of satisfied and loyal customers delicious, fresh-fried chicken and sides every day. Chester’s has successfully completed the transition process from a licensed QSR concept to a growth driven franchise model. This market, in which Chester’s has been a leader for years, primarily consists of restaurant-in-store concepts, including colleges and universities, airports, convenience stores, truck stops and supermarkets. The great taste of Chester’s chicken brings customers back again and again. Your store can be up and running in a matter of weeks, and Chester’s operations team will provide in-store training as well as ongoing support. Combine the best tasting chicken with a thriving growth segment, and you’ve got a business model you can bank on.